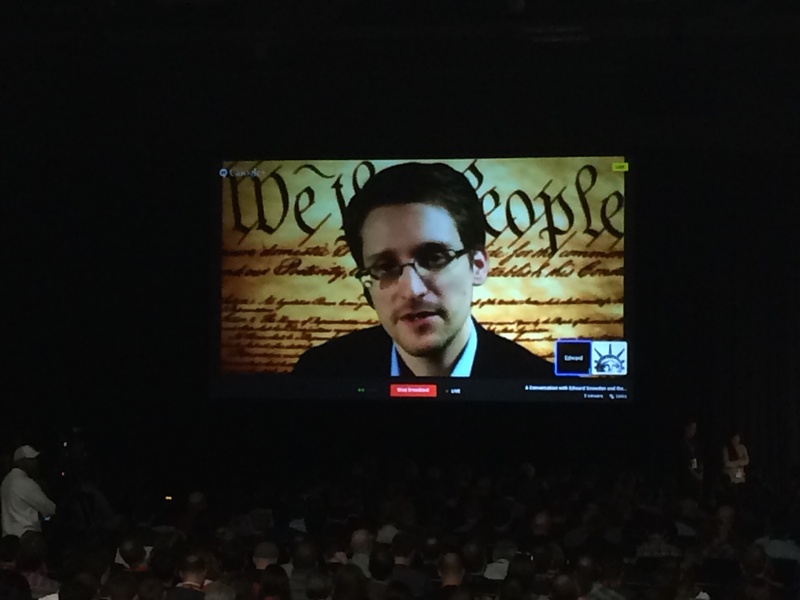 Edward Snowden at SXSW: "I Was Defending the Constitution"
The SXSW team will have drawn the envy of conference organizers around the world today after NSA whistleblower Edward Snowden took part in a ‘virtual conversation’ via video link. “End-to-end encryption, where it’s from my computer directly to your computer, makes mass surveillance impossible at the network level without a crypto-breaker – and they are incredibly rare, normally don’t work and are very expensive,” said Snowden. Snowden criticized the “lack of focus” in monitoring everyone’s communication rather than focusing on suspects because it causes the security services to misdirect their attention away from real crimes such as last year’s Boston Marathon bombing. He encouraged the use of encrypted hardware and software in order to avoid getting caught up in widespread ‘hoovering’ up of data. There’s no doubt that Snowden was talking to a largely sympathetic crowd at SXSW and therefore had it largely easy in terms of the questions he was asked, but it was nevertheless an interesting and engaging session and a real highlight of this year’s conference.